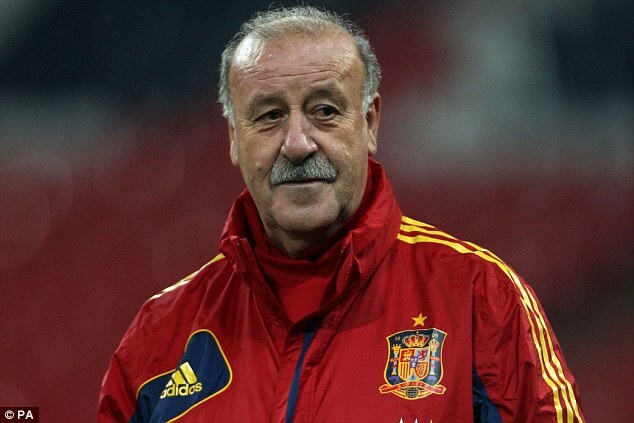 The coach of Spain, Vicente del Bosque, wants the team to learn from their World Cup experience in Brazil as they attempt a third successive campaign at the Euro 2016 in France. After the team lifted the Euro 2008 and 2012, also winning their first ever World Cup in South Africa 2010, they could not cope with the very high pressure of being the favourites to lift the trophy for a second successive time. They were surprisingly knocked out from the tournament in the first round. The United States is the best candidate to host the 2026 World Cup, according to former international defender Alexi Lalas. FIFA is looking for a fresh start after being involved in several corruption scandals and undergoing new presidential elections, which saw Gianni Infantino take over from Sepp Blatter. The organisation recently announced new rules for countries wishing to host the World Cup. The selection process for the 2018 and 2022 world cups have already been concluded and they have been awarded to Russia and Qatar respectively. Interested parties will have to undergo rigorous consultation, campaigning, and evaluation processes. Spain International David Silva insists on playing for his national team despite the injury concerns ahead of the tournament billed for France. The Manchester City playmaker suffered a hamstring injury in the first leg of his club's Champions League semi-final against Real Madrid last month and has not played since. When he joined the national team, he spoke on the injuries. "I'm fine. I hope to play in the first game, I'm not sure but I feel good. I have 96 caps and I am excited about reaching 100, to reach that figure would be very nice," he said. A few months ago, a number of head executives of FIFA were hit with bans due to scandals involving bids in relation to previous World Cups as well as upcoming ones. Following this incident, Russia’s bid to host the approaching 2018 World Cup was a questionable one and this bid was re-evaluated. After all the investigations uncovered a series of scandals and things of this nature, one of the executives of FIFA that decided to resign was Sepp Blatter and was replaced by Gianni Infantino. The United States football team might miss the 2018 World Cup if they fail to beat Guatemala. The United States has not missed a World Cup since 1990 and would want to give everything on the field to qualify. They are currently third in their qualifying group with 4 points from 3 games. Trinidad and Tobago lead the group with 7 points and Guatemala is second with 6 points. The other team in the group is St.Vincent. The United States, who has been previously unbeaten during 21 games against Guatemala, lost their first match on Friday 2-0. Their last defeat against Guatemala was way back in 1988. A repeat of this performance will be disastrous for the States, and they will have to watch the next World Cup on television. Even a draw may not be enough since they will then have to hope that Trinidad and Tobago win their fixture against Guatemala in September. Bolivia goalkeeper Romel Quinonez remains confident of qualifying for the World Cup 2018 despite making a poor start to the campaign. Regarded as one of the minnows in South American football, Bolivia have never been favourites to qualify for a major tournament like the World Cup. However, there has been a seismic shift in the football landscape in this region since 2015.Baldivieso took charge of the national team during this period and he has placed his faith on the youngsters in this region. So far, the national team has managed only one win in the qualification campaign. The World Cup tournaments have a tradition of witnessing some of the best players in the world giving their one last go. A number of legendary names like Zinedine Zidane have announced their retirement just after the World Cup. Italian goalkeeper Gianluigi Buffon is set to join in this list after announcing his decision to hang up his gloves after the tournament comes to a close in Russia. There were several doubts about Russia being able to host this tournament, but it now looks set to go ahead despite issues of racism, war, and deflation. There has been a lot of criticism surrounding the Qatar World Cup 2022. Many countries have objected to the World Cup being awarded to the Middle East nation due to fears of corruption. Since the award process has gone beyond a certain stage, it is now almost certain that Qatar will host a World Cup for the first time in the nation’s history. Keen to showcase their power to the rest of the world, the Middle East oil rich nation has been spending huge sums of money on the construction of new stadiums. In order to combat the intense heat, most stadiums are expected to be fully air-conditioned.